A dispute among the people involved in bitcoin is revealing a paradox of the digital currency: The same resistance to human meddling that drove its popularity may also be its greatest limitation. It seems that the only way to get anything done is to split the currency in two. At issue is the size of blocks, the batches in which transactions are processed and that make up the links in the so-called bitcoin blockchain. Currently, they’re so small that the whole system can handle only about seven transactions per second -- nowhere near enough to compete with, say, Visa network’s 24,000 transactions per second. Some people think that’s a good thing! Bitcoin relies on thousands of internet-connected volunteers, and their operating costs should be kept as low as possible. On the other hand, many are unsatisfied with the system’s speed. A faction known as Bitcoin Unlimited has released a new version of the software that can create bigger blocks, and is now rallying the support of bitcoin miners, who process transactions in return for new currency. The plan is to gain enough miner support to build its own branch off the chain. Meanwhile, the computer geeks who develop the core bitcoin software have offered their own solution, which not only increases capacity but also enables the creation of low-value payment channels adjacent to the main network -- the idea being that people might not need every coffee purchase immortalized on a global distributed ledger. The standoff illustrates a vulnerability. Because bitcoin relies on a worldwide network of individual computers to maintain the blockchain, one group can -- intentionally or not -- become separated from the rest. The two networks will thus accumulate different information, creating competing chains. If the “fork” is unintentional, the networks eventually reconnect and discard the lesser chain. 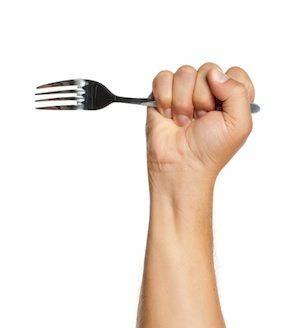 But if the fork is intentional, as in the case of Bitcoin Unlimited, it can continue forever. The insurgents’ software will eventually disconnect from anyone who doesn’t support their blockchain. The most troublesome part is that both sides want to assume the identity of bitcoin. This would be like the Confederate states seceding from the Union, then insisting that they were the real United States and that the northern states had voluntarily left. Ultimately, it will be up to individual users to either choose one chain or recognize both as legitimate currencies. This is one reason it’s so hard to tame bitcoin by, say, creating an exchange-traded fund so regular investors can get a piece of the action. The ETF filing for the Winklevoss Bitcoin Trust actually includes a provision specifying which bitcoin network it will support in the event of a split. Another ETF filing for Grayscale’s Bitcoin Investment Trust acknowledges that the fund will end up with equal values of two types of bitcoin, and must select one to keep in the fund.Thus far, Bitcoin Unlimited has secured support from the world’s largest mining operation, as well as adoption from about 10 percent of the bitcoin network.